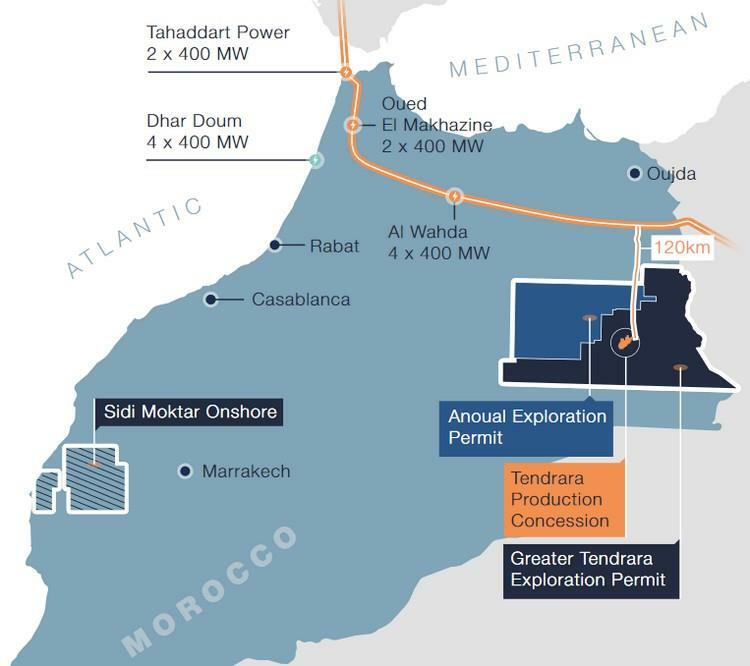 Sound Energy, the Moroccan focused upstream gas company, has confirmed that the drilling at TE-10, the second well of a planned three exploration well campaign in Eastern Morocco, has commenced. The TE-10 well will test the North East Lakbir prospect in the Company's Greater Tendrara permit and is located approx. 25 kms to the northeast of the recently awarded Tendrara production concession. The well is designed to test both a material TAGI stratigraphic trap and a smaller TAGI structural closure. The North East Lakbir stratigraphic trap has updated mid case potential on a gross (100%) basis of 2.7 Tcf GOIP (4.5 Tcf GOIP upside case and a 1.5 Tcf GOIP low case) with a Sound Energy internally estimated chance of success of 14%. TE-10 lies within the stratigraphic trap, located on a smaller structural closure which has a mid case potential, on a gross (100%) basis, of 128 Bcf gas originally in place ("GOIP") (210 Bcf GOIP upside case and a 75 Bcf low GOIP case) with a Sound Energy internally estimated chance of success of 26%. The well is expected to be drilling to a total depth at approx. 2,200m and is expected to take between 30 to 40 days.